SAP Jam, the SAP cloud-based collaboration platform, has transformed the meaning of ‘enterprise collaboration’ with our unique people-centric approach of combining business processes, information and content. With out-of-the-box and supported integrations for SAP CRM, SAP Hybris Cloud for Sales, SAP ERP ECC, and the SAP SuccessFactors HCM Suite, SAP makes it easy to extend collaboration to the most critical business processes. Based on customer feedback, innovative new capabilities were added to SAP Jam last year – allowing it to flourish into a modern, global, cloud-based intranet. Many customers – like SunPower – flock to SAP Jam to consolidate disparate intranets within their organizations into a one-stop cloud-based intranet. Many organizations’ intranets are not stand-alone and can impact legacy business processes. Organizations previously thought they could not move to a more modern, lower cost and easier-to-manage platform because of their legacy on-premises-based processes. The good news is that SAP already integrates SAP Jam with legacy and on-premises systems like SAP CRM and SAP ERP ECC. Add in the SAP Cloud Platform, and organizations can now take advantage of the SAP Jam modern collaboration capabilities from within their legacy SAP or third party business applications. Did you know SAP Cloud Platform includes SAP Jam functionality? Any collaborative functionality added to an SAP Cloud Platform application is actually SAP Jam. Developers and IT organizations don’t need to worry about infrastructure or building a hyper-scalable platform to add a feed to an application – SAP has already taken care of it for you. Developers can simply drop in the needed collaboration capabilities and reap the rewards of SAP Jam functionality in your organization’s applications. The benefits of SAP Jam and SAP Cloud Platform don’t stop there – they also work in the opposite direction. If your organization has a unique business need for custom functionality, you can easily use SAP Cloud Platform to extend SAP Jam user Interface (UI) capabilities. 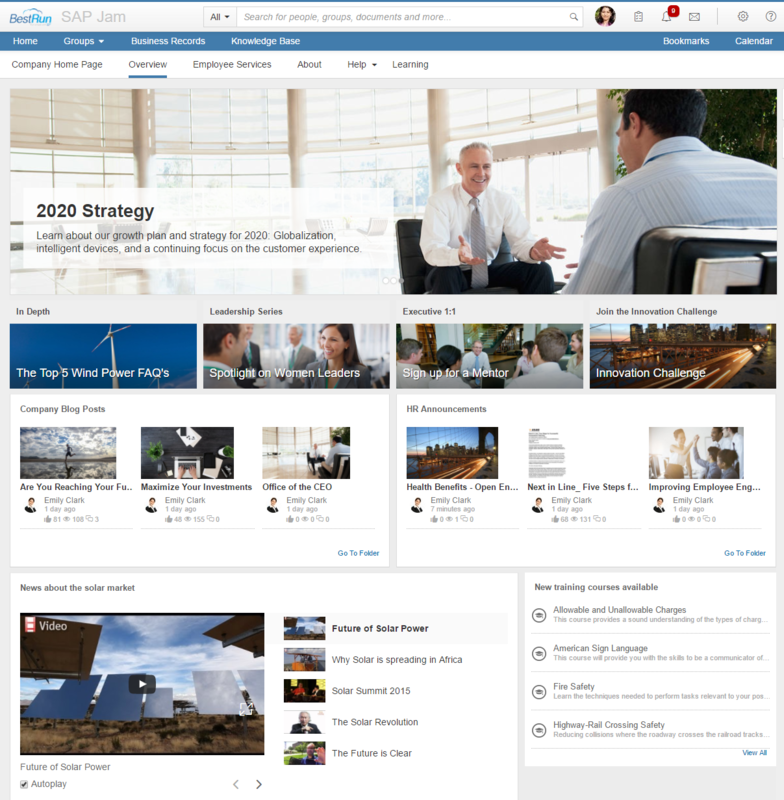 Together, SAP Jam and SAP Cloud Platform enable organizations of any size to achieve what they’ve been needing – a modern, easy to use, scalable intranet and collaboration platform that can be tailored and adapted to your unique business needs. Get more information about SAP Jam and the SAP Cloud Platform, including specifics on Cloud Platform collaboration capabilities. Additionally, please download a complimentary copy of the SAP Jam authored whitepaper ‘Collaboration drives business agility” today!